The Bad: V 8 “be ready to suffer with me for the sake of the Good News”. I think this will be my take-home message about the epistles – their emphasis on the merits of suffering. And v 9 – back to the predestination theme. If it’s all planned anyway, why bother? The rest of the chapter is a mixture of chit-chat and Christianese. The Good: There’s some good advice in v 22-25 if you can tease it out from among the religious claptrap. The Bad: V 3 “Endure suffering along with me, as a good soldier of Christ Jesus”. See also v 10-12 for more on the benefits of suffering. 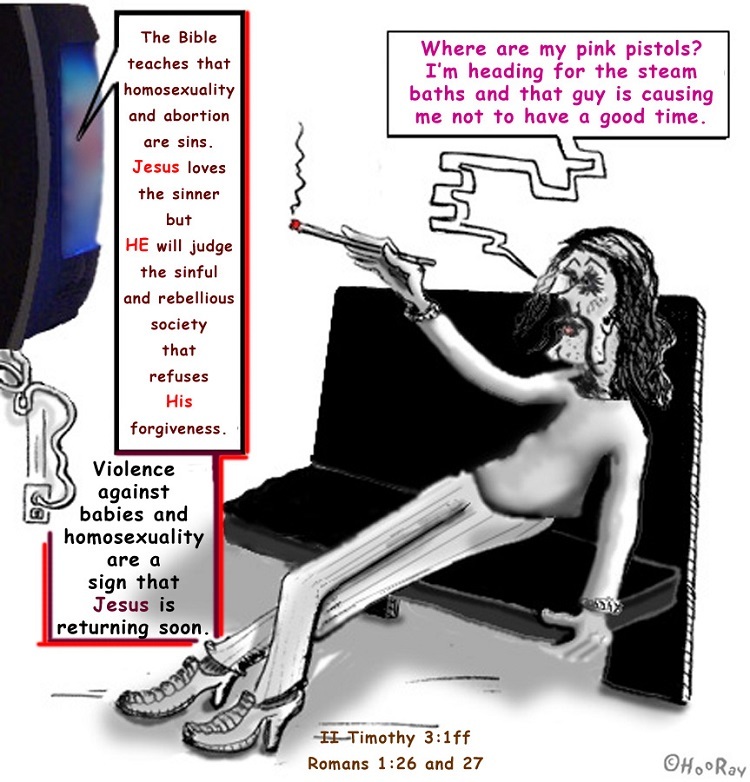 Sigh… V 8 – Jesus was not a descendant of King David if his father was Yahweh. Duh. V 15 – work hard so you will get god’s approval. No – work hard so that you, and others, will benefit. V 16 – avoid getting into discussions with those who disagree with you, lest you be influenced by them. (Practice censorship and shunning.) V 18 – Some people have already left the faith after doctrinal disagreements. Didn’t take long for Christianity to splinter, did it? V 22 what the heck is the matter with youthful lust? And check v 26 – those who don’t accept Paul’s version of the truth are being ensnared by the devil. The Ugly: The SAB claims that in v 19, the line “The Lord knoweth them that are his” (a quote from Num 16:5) was used during the Inquisition to justify mass killings, following the reasoning that once people are dead, god will sort them out. So I looked that up, and it’s true. Read it and weep. The Bad: The description of how people will behave when the end-times approach (v 1-5) has me hearing the voice of every fundie evangelist proclaiming that people’s behavior these days is a sign that the end is near. No wonder; look at the signs Paul (well, probably the author is not Paul) warns his followers to watch for. Among them: people scoffing at god and disobeying their parents. Make sure to read the whole list and then be rapture-ready! For people reading the KJV, the words ‘without natural affection’ in v 3 have (according to the SAB) been interpreted by some fundies to mean homosexuals. However, the original Greek word used here means ‘without love’ and has nothing to do with sexuality at all. Modern translations correct the KJV and read ‘without love’ or ‘unloving’. V 8 Just who the heck are Jannes and Jambres? I don’t recall these names, but a quick search tells me that they are the magicians or sorcerers referred to in Exodus 7:10-12 (even though they are not actually named in the OT). The Ugly: V 6-7 are misogynistic and twisted. And v 10-16 are just more of the same drivel. Blah blah blah suffering and persecution, Paul padding his own ego, beware false teaching and evil imposters, remain faithful, blah blah blah. Sick of it. I had this verse thrown at me by an apologist who was disgruntled at this bible study. It’s clearly a favorite, and a quick search turned up a variety of memes and videos based on it. Almost all the videos were songs aimed at teaching the verse to kids. I watched 4 of them and I want to cry. I chose one to share here. 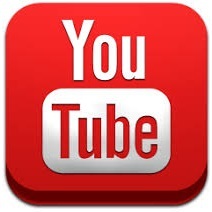 If you feel the need to see more, just search for the verse on YouTube. The Bad: V 6-8 Since when is life a fight? A race? A competition to be completed only in hopes of a heavenly reward? The Ugly: V 14 Alexander must be the guy that some apologists believe was referred to in Acts 18. But there’s not enough information to confirm or deny that here. Paul’s attitude towards him, though, is pretty cold. For the ‘crime’ of disagreeing with Paul, the lord will ‘reward him according to his works’. That’s a polite way of saying he’ll go to hell, and this is made clear in modern translations, which state that the lord will ‘judge’ or ‘repay’ him for what he has done. Quotes: V 7 “I have fought a good fight, I have finished my course, I have kept the faith” – published in every newspaper obit of every devout Christian ever…. well it seems like that to me anyway. I recognize the phrase ‘the quick and the dead’ in v 1. It’s used in the Nicene Creed, which I sang every week at church for 30 years or so. And for most of those years, I had no idea what the phrase meant. ‘Quick’ is an old synonym for ‘alive’. (That’s why the first flutterings of fetal movement felt by a pregnant woman are known as ‘quickening’.) The Nicene Creed is a statement of doctrinal Christian beliefs agreed upon by a council at Nicaea in 325, and revised in 381. And that’s the exact same creed we recite today. Unchanged in 1700 years. Below are videos of 2 musical arrangements of the Creed. First is the version that was used in my church; I can still sing it from memory, it’s so etched in my brain. Even though the words are now meaningless to me, listening to this choir sing it gives me goosebumps; which proves the tremendous emotional attachment we have to whatever we learn at our mother’s knee. Note the ancient origins of the music (1500’s). I know the Latin words, too, having sung them many a time in choral works, set to music by all the great classical composers. The second version below is from Mozart’s Requiem Mass.